Translation: Tatsuhiko Akutsu Located on a peninsula 15km from Rio, the Museu de Arte Contemporanea, or MAC, also boasts a stunning sunset view over the city. 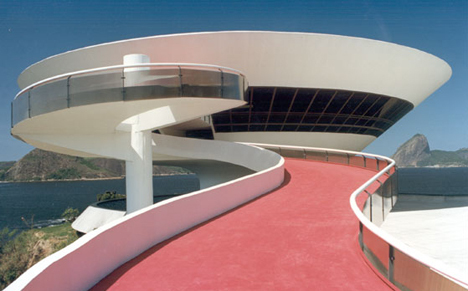 The spaceship-like structure, built in 1996, houses a significant collection of contemporary Brazilian art. But few visitors come to see just the art inside. The colorful sculptures and paintings are overshadowed by picture windows that look out on a 360-degreeview of Rio de Janeiro and surrounding islands. Niteroi is a 20-minute ferry ride from Rio de Janeiro.